StoryStream helps leading automotive brands deliver more relevant and authentic content to the right customers at scale, driving deeper engagement and better quality leads. 28% of car buyers want to see other owners’ experiences and comments on a make or model of car. 28% of car buyers want to see other owners’ experiences and comments on a make or model of car (Source). Social media and review sites have opened up an automotive pandora’s box, supplying willing recipients with honest reviews, opinions and candid imagery (User Generated Content). It’s an exciting challenge for automotive marketers. There is fantastic brand potential emerging from the ability to leverage customer’s experiences. The best User Generated Content (UGC) can become a new way of speaking to potential customers, bringing them into a circle of trust with authentic, credible content; and there are so many ways brands can do this! 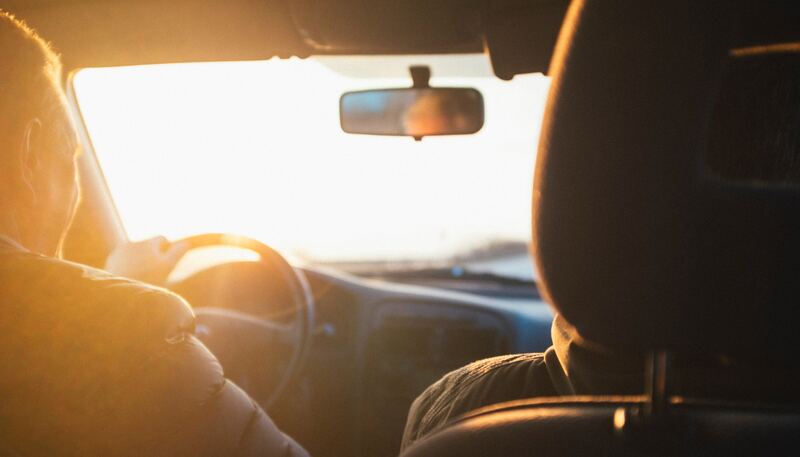 To inspire and get your creative juices pumping, we’ve taken a look at 5 ways automotive brands have used UGC to strengthen their campaigns, interact with audiences and spread their messaging. BMW had sponsored the PGA tournaments since 2007 and wanted to maximise the exposure they gained with a fresh, captivating campaign. Using the dedicated hashtag #BMWPGA, they collected and curated fantastic UGC from attendees, wider audiences and the golf professionals themselves which they then shared with the world across a multitude of at-event digital screens and an online content hub. No matter where golf fans went, the excitement and buzz could follow them. 34,513 pieces of content were collected during the tournament reaching an estimated 106 million golf fans. As a renowned automotive brand, Porsche both creates millions of pieces of its own branded content (Brand Generated Content or BGC) as well as content created by customers and other stakeholders. Rather than letting this UGC and BGC go to waste scattered across the globe, they created Porsche Live; content hubs embedded into all their websites showcasing exciting brand and advocate content from all around the world. By bringing stories to the forefront, Porsche unlocked their potential to attract new buyers and create an aura of authenticity, increasing website dwell time by 466%. When Rolls Royce hosted their first ever public exhibition, a range interactive and multi-sensory installations at the Saatchi Gallery in London, they wanted the world to know about it. Using the unique event hashtag #InsideRollsRoyce, they were able to capture the experiences of visitors and expand the social word-of-mouth publicity. Photos, videos and tweets from visitors as well as articles by the press and bloggers were published on a specialist microsite to attract new visitors and on digital screens throughout the exhibition to encourage others to share their stories. Two months into the experiential exhibit, they had achieved a social reach of over 4 million. The most popular contributions came from advocates across Twitter and Instagram. Motor shows are an amazing opportunity for automotive brands to reveal new products, capture the attention of car enthusiasts and build relationships. When Toyota and Lexus were exhibiting at the Paris Motor Show, they used UGC to amplify their reach and authentic messaging both at the event and online. The brands created large, eye-catching digital screens featuring positive advocacy content and captivating brand content generating considerable interest from showgoers and providing the perfect backdrop for the innovative vehicles on display. Following on from the international success of Porsche Live, the Japanese team took their UGC strategy to the next level by teaming up with their dealerships. By sharing the ‘Porsche Live’ content experience across its 43 local dealership sites, they were able to unite their dealerships under one brand message and streamline the brand experience. Replicating the ‘Porsche Live’ experience across the dealership network meant that they were able to benefit from the same uplifts in dwell times as their global counterparts. Managing and capitalising on UGC can seem like an overwhelming task, but with the right AI Platform, you can easily harness its power. Read our free ebook on the impact of UGC on the automotive sector and how to choose the right tool for more engaged customers and satisfied stakeholders. StoryStream is the smart content platform for automotive brands. Using patent pending AI, StoryStream transforms the car buying experience by automatically delivering more real, relevant content at scale to every customer touchpoint. Is social media missing the mark? Social media is a key part of the automotive marketing mix, but is most of it missing the mark? StoryStream’s Simon Power shares some crucial insights. With a special return marking 120 years of innovation, what can we expect at the 2018 Paris Motor Show? StoryStream’s Thomas Thorburn offers a preview of what’s in store. Would I buy a car from a Shopping Centre? We’ve all taken a curious glance on an afternoon out, but what’s it like as a car buying experience? Clover Kennard provides an insightful look at a rapidly growing automotive retail trend. Ready for a quick demo? Not ready for a demo yet? © StoryStream 2019. All rights reserved.